No this last question is not a joke. We seriously get this question even after referring people to our guides. We hope that this guide answered most of your WordPress hosting questions for your website. 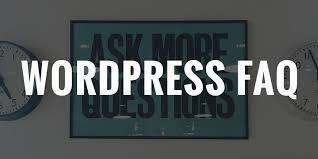 If you have a WordPress hosting question that we didn’t cover, then please send us a message using our contact form. One of our team members will respond back within 24 hours.